Great universities are not built overnight; they are built year by year, decade by decade, century by century. We stand on the shoulders of those who have come before us. When you invest in AUC, you are telling the world that you are ready to make an impact. 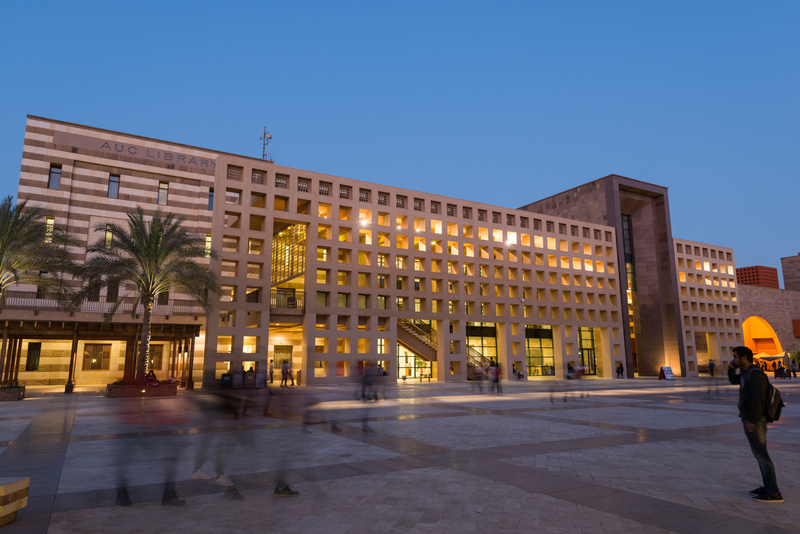 For a century, AUC has provided its diverse student body with a first-class, high-quality education, serving as Egypt's global University and a creative hub in the region. 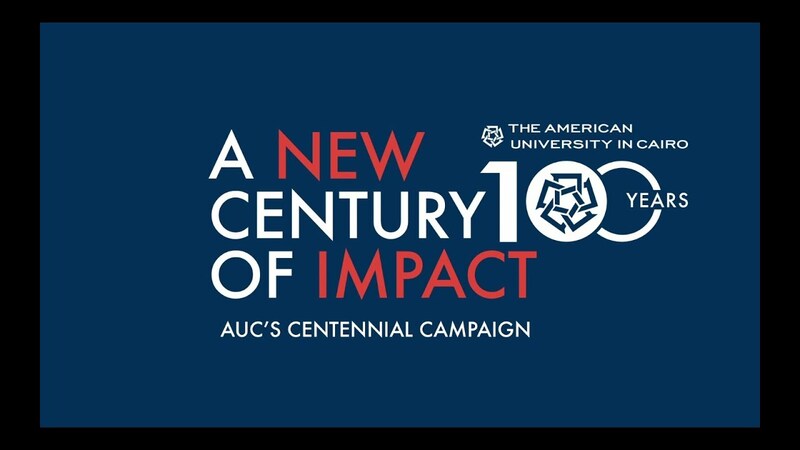 Learn about AUC's five-pillar campaign, and discover how you can help AUC carry on its legacy for the next 100 years. #AUC100 . Give 100 of your country’s currency to support scholarships for the next generation of AUC students. 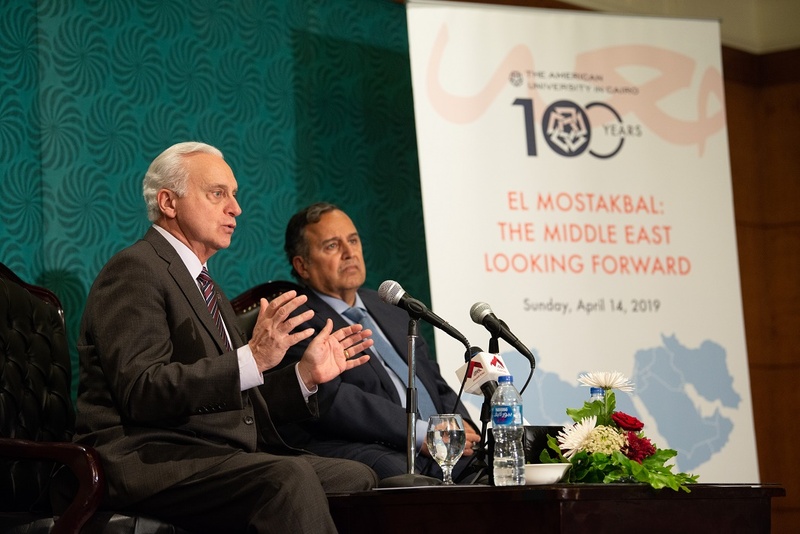 Watch the highlights from the centennial campaign launch, including a glimpse of the notable alumni and AUCians who attended the event and speech excerpts by Board of Trustees Chair Richard Bartlett, AUC President Francis J. Ricciardone, scholarship students and more. Nouran Gohar, recipient of the Wadi Degla Endowed Scholarship for Student Athletes and construction engineering student, discusses why she chose AUC because of its value of and support for student talent as well as the University's balance between challenging academics and a fruitful student experience outside of the classroom. 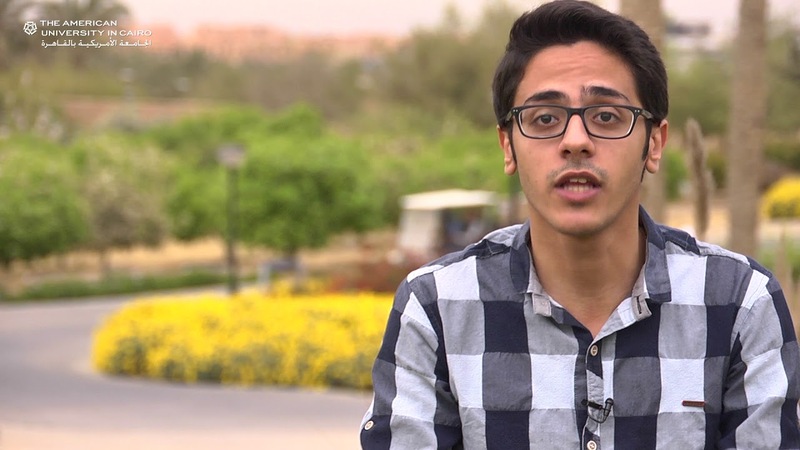 Fady Shokry, economics student from Minya, has had the chance to explore how he can contribute to his society and tackle obstacles to financial inclusion thanks to an Orascom Construction Limited (OCL)-AUC Undergraduate Scholarship that brought him to AUC. 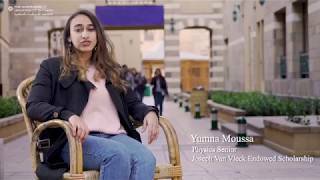 Yumna Moussa, a physics major originally from Assuit, didn't give up on her dream of studying physics at AUC. 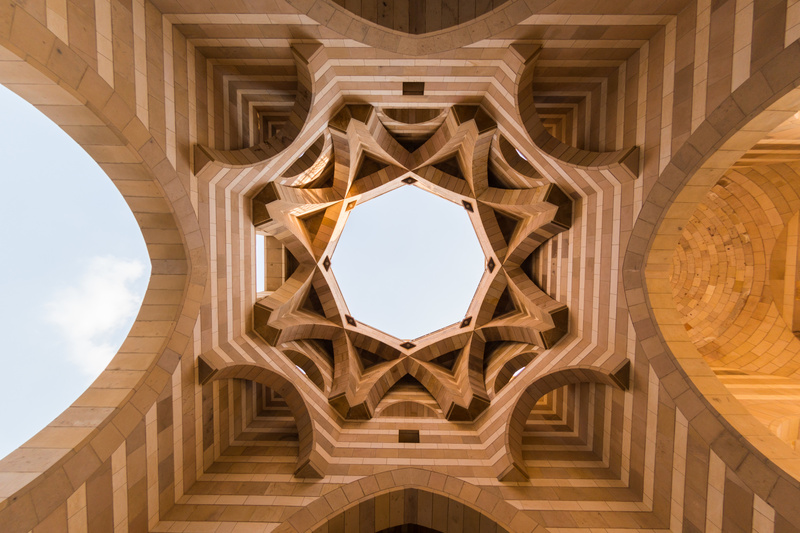 Although she was initially unable to afford her studies at the University, she kept her eye out for scholarships and was soon awarded the Joseph Van Vleck Endowed Scholarship to pursue her passion at AUC. During the Fall 2018 First-Year Experience (FYE), AUC President Francis Ricciardone’s welcome note to the new students was, “You didn’t come here to end your education; you came here to accelerate it.” This statement is what Amr Mohamed Atia has glued on his desk and refers to every day. “This is AUC for me," said Atia. Long has Egypt celebrated a glorious past. Now, we at The American University in Cairo strive to reinvigorate in Egypt by investing in its future - the youth. Celebrating AUC's 100th Anniversary at the Eighth Annual Benefit Dinner. Recognizing its distinguished scholars, AUC held a ceremony welcoming its 120 newest scholarship students, who hail from 26 Egyptian governorates and multiple countries, including Somalia, Yemen and the West Bank.